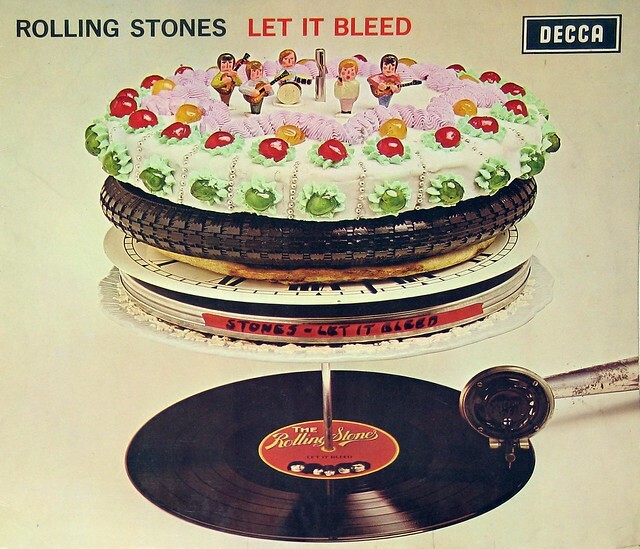 "Let It Bleed" is the eighth British and tenth American album by English rock band The Rolling Stones, released in December 1969 by Decca Records in the UK and London Records in the US. 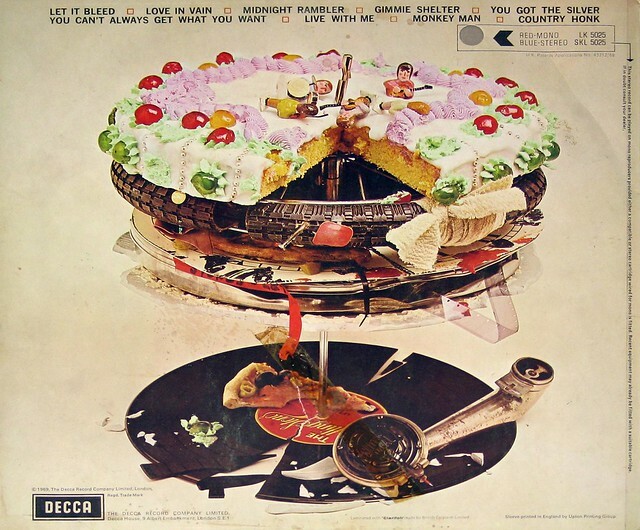 Released shortly after the band's 1969 American Tour, it is the follow up to 1968's Beggars Banquet and the last album by the band to feature Brian Jones as well as the first to feature Mick Taylor. 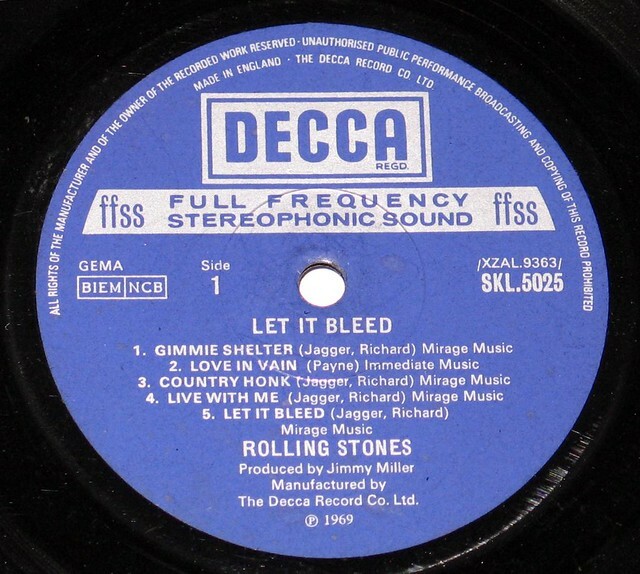 Although the Rolling Stones had begun the recording of "You Can't Always Get What You Want" in May 1968, before "Beggars Banquet" had been released, recording for "Let It Bleed" began in earnest in February 1969 and would continue sporadically until October. Brian Jones performs on only two tracks, playing the autoharp on "You Got the Silver", and percussion on "Midnight Rambler". His replacement, Mick Taylor, plays guitar on two tracks, "Country Honk" and "Live With Me". Keith Richards, who had already shared vocal duties with Mick Jagger on "Connection", "Something Happened to Me Yesterday" and "Salt of the Earth", sang his first solo lead vocal on a Rolling Stones recording with "You Got the Silver". The album was released in US as an LP record, reel to reel tape and 8-track cartridge in 1969.